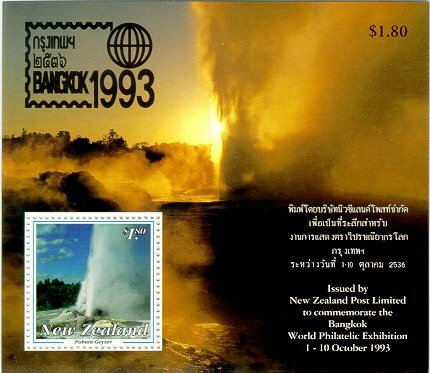 Please post here stamps showing geysers. Come on, US StampBears - there must be some US stamps showing geysers. Iceland 1938 - Geysir (the Icelandic spelling) is SW Iceland, which was anglified to "geyser" in the English language. It was the first geyser to be described in print. Icelandic stamps of 1938-1940 showing Geysir.